In spite of the fact that the first verse of Laozi’s Daode Jing states that "the name that can be spoken is not the eternal name," poetry has always been an important aspect of Taoist practice. In Taoist poems, we find expressions of the ineffable, praises of the beauty of the natural world, and playful paradoxical references to the mysterious Tao. The flowering of Taoist poetry occurred in the Tang Dynasty, with Li Po (Li Bai) and Tu Fu (Du Fu) as its most esteemed representatives. 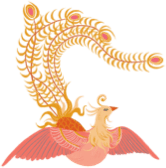 An excellent online resource for a sampling of Taoist poetry, along with inspiring commentaries, is Ivan Granger’s Poetry-Chaikhana, from which the following two biographies and corresponding poems have been reprinted. The first poet introduced below is Lu Dongbin (Lu Tong Pin) – one of the Eight Immortals, and the father of Inner Alchemy. The second is the lesser-known Yuan Mei. Lu Tung Pin (Lu Dong Bin, sometimes referred to as Immortal Lu) was one of the Eight Immortals of Taoist folk tales. It is difficult to separate out legendary tales that have accumulated around him from possible historical fact, or whether the poems attributed to him were written by the historical person or attributed to him later. Lu Tung Pin is said to have been born in 755 in Shansi province of China. As Lu grew up, he trained to be a scholar at the Imperial Court, but he did not pass the required examination until late in life. The dream has brought you to the Capital." Lu Tung Pin was stunned that the old man had known his dream. Chung-Li Chuan replied that he had understood the nature of life, we rise and we fall, and it all fades in a moment, like a dream. Lu asked to become the old man's student, but Chung-Li Chuan said Lu had many years to go before he was ready to study the Way. Determined, Lu abandoned everything and lived a simple life in order to prepare himself to study the Great Tao. Many tales are told of how Chung-Li Chuan tested Lu Tung Pin until Lu had abandoned all worldly desires and was ready for instruction. He learned the arts of swordsmanship, outer and inner alchemy, and attained the immortality of enlightenment. Lu Tung Pin considered compassion to be the essential element of realizing the Tao. He is greatly revered as a physician who served the poor. It is here, enshrined within us. It cannot be rendered into speech. Yuan Mei was born in Hangchow, Chekiang during the Qing dynasty. As a boy, he was a talented student who earned his basic degree at the age of eleven. He received the highest academic degree at 23 and then went to advanced studies. But Yuan Mei failed in his studies of the Manchu language, which limited his future government career. 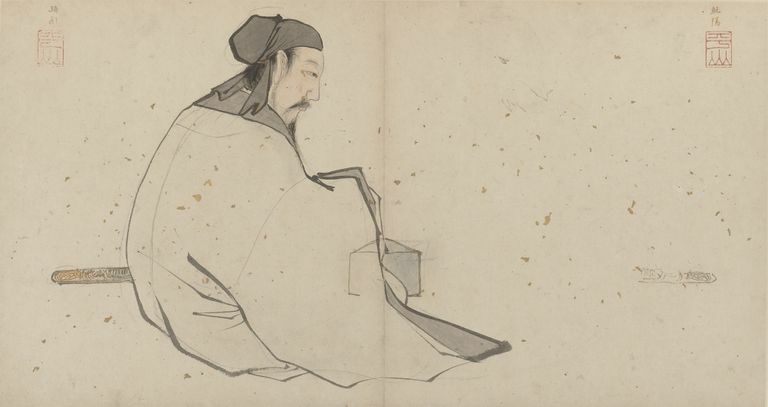 Like many of the great Chinese poets, Yuan Mei exhibited many talents, working as a government official, teacher, writer, and painter. He eventually left public office and retired with his family to a private estate named "The Garden of Contentment." In addition to teaching, he made a generous living writing funerary inscriptions. Among other things, he also collected local ghost stories and published them. And he was an advocate of women's education. He traveled quite a bit and soon gained the reputation as the preeminent poet of his time. His poetry is deeply engaged with Chan (Zen) and Taoist themes of presence, meditation, and the natural world. As biographer Arthur Whaley notes, Yuan Mei's poetry "even at its lightest always had an undertone of deep feeling and at its saddest may at any moment light a sudden spark of fun." he's brushed in so far today. forgotten books, remembered, clear again. What Does the Taoist Concept of Pu, the Uncarved Block, mean? What Do Taoists Mean When They Talk About Qi (Chi)? What Is Daoism and How Is It Practiced in China? What Are the Healing Benefits of Hot Mineral Springs? What Is the Yin Tang Acupressure Point?